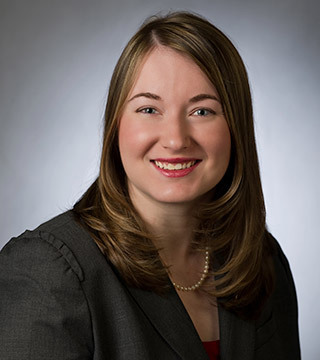 Amanda Sundquist’s practice is focused on education and municipality law and land use and zoning. On the governmental side, her clients include school districts, townships, boroughs, counties, authorities, business improvement districts, zoning hearing boards and planning commissions. She advises on a wide range of topics necessary for their daily operations, such as policy and ordinance development, application of state and federal law, personnel and student issues, contracting and bidding, and the Right-to-Know Law. In her land use and zoning practice, Amanda guides developers, business owners and homeowners through the zoning development and approval process, including advocacy at hearings and before appellate courts. As Amanda’s practice is in many ways “two-sides of the same coin,” she is able to provide both her governmental and developer clients with a unique understanding of all parties’ wants and needs, supported by an unwavering focus on creating a viable path to move projects forward. A 2010 Legal Intelligencer “Lawyer on the Fast Track,” a 2011 recipient of the Chester County Bar Association’s Young Lawyers Division Service Award, a Main Line Today “Top Lawyer” in Municipal Law, and a multi-year Philadelphia Super Lawyers “Rising Star,” Amanda’s clients and colleagues alike value and appreciate her accessibility and focus on their needs. Amanda’s capacity to effective advocate for each client’s goals is supported by her ability to apply the law in a practical manner that her clients can incorporate into their every-day operations. Amanda’s proven skill in analyzing and overcoming serious problems and daunting obstacles on behalf of her clients is enhanced by her seemingly natural aptitude for de-escalating even the most challenging scenarios. Because many of Amanda’s clients operate in the public eye, she remains ever-mindful of designing workable plans of action that consider the impact on public relations and community perception. Amanda’s dexterity in written and oral communication is further enhanced by her proven management competency. She provides clients with smart and comprehensive advice, an exemplary level of service and total responsiveness when getting her clients what they need.